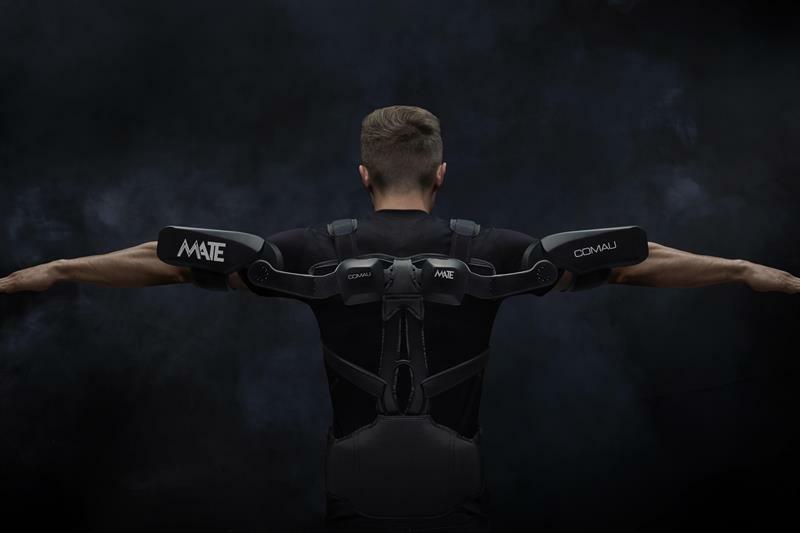 At the end of March Comau took part in the MecSpa 2019 manufacturing exhibition in Parma, Italy, where the company’s newly developed wearable exoskeleton, MATE (Muscular Aiding Tech Exoskeleton), was officially displayed for the first time. MATE was designed to improve work quality in an efficient and ergonomic way, providing constant and advanced assistance, and facilitating the operator arm movements needed for repetitive functions. The MATE exoskeleton is based on an advanced passive structure that ensures lightweight, breathable and extremely effective postural support without the need for batteries or electrical equipment. Comau also used MecSpa to launch its lithium-battery-powered version of AGILE1500, a self-driving vehicle, which was set up inside an automatic warehouse supplied by a palletising robot. The lithium batteries allow the partial recharge of the vehicle during the work cycle, permitting the AGV to work non-stop for three work shifts. AGILE1500 was designed to work safely near the operators while using ‘natural’ navigation technology to connect various stations of the production cycle. In the cell, material handling was showcased using a PAL-180-3.1 robot connected to the AGILE1500 with a payload up to 1,500 Kg on Euro pallets, together with a customised pallet lifting and storage unit produced by technology partner Siscodata. Within the same application there was a demonstration of the MATE exoskeleton inside an industrial environment, where it was worn by an operator, together with two special accessories produced by Siscodata: Back saver and ID Glove. The required task was the picking of components from a warehouse and their subsequent automated palletising and de-palletising. There was also a robotic assembly cell implemented by Comau partner Olivero Srl, where two Racer articulated robots were served by an AGILE1500 with components to be assembled and later sent to M.I.O. (Modular Intralogistics Organizer), an IIoT-compliant logistics module developed to meet the complex and ever-changing production needs of Industry 4.0.